SP Scientific is the synergistic collection of four well known and highly regarded scientific equipment brands, including VirTis, FTS Systems, Genevac and Hotpack. The joining of these well established brands as SP Scientific has created one of the largest and most experienced companies in freeze drying (aka lyophilization), centrifugal evaporation and concentration, temperature control/thermal management and glassware washers. More than a scientific equipment supplier, SP Scientific brands distinguish themselves by being able to more thoroughly assist customers in matching equipment to particular application needs. Fortune 500, pharmaceutical, aerospace, automotive, medical device, diagnostic kit and biotechnology companies as well as government facilities, universities and colleges are among the organizations served on a daily basis. SP Scientific is constantly striving for superior service and quality. We want to ensure that our customers become part of our “family” and that we serve each customer to the best of our abilities. Each manufacturing facility is an ISO 9001:2000 rated facility. Industries such as pharmaceutical manufacturing have required that the associates at SP Scientific are well versed in current Good Manufacturing Practices (cGMP), Good Automated Manufacturing Practices, (GAMP5), 21CFR, part 11, electronic signatures and ASME standards. SP Scientific is a global company with manufacturing facilities in Gardiner and Stone Ridge, NY and Ipswich, UK. Regional Sales Associates, Distributors and Service Technicians are located throughout the world. SP Scientific Associates and Distributors look forward to helping you reach your goals. All articles from SP Scientific Inc.
SP Scientific announces publication of an independent study evaluating their LyoCapsule™ Freeze Dryer for pharmaceutical product formulation and process development. 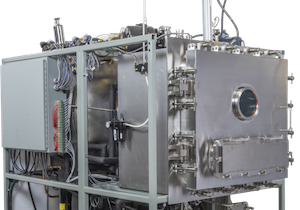 SP Scientific reports upon the growing range of applications served by its premium Hotpack Stability Chambers. SP Scientific announces the LyoCapsule™ Freeze Dryer. SP Scientific announces the launch of a new dedicated website for its PennTech® brand of advanced aseptic processing equipment for the pharmaceutical and biotech industries. SP Scientific announces the on-demand availability of a popular webinar by Jake Luoma of Genentech Inc. that discusses how controlled nucleation has emerged as a technology which promises improvements in lyophilization process throughput and consistency. 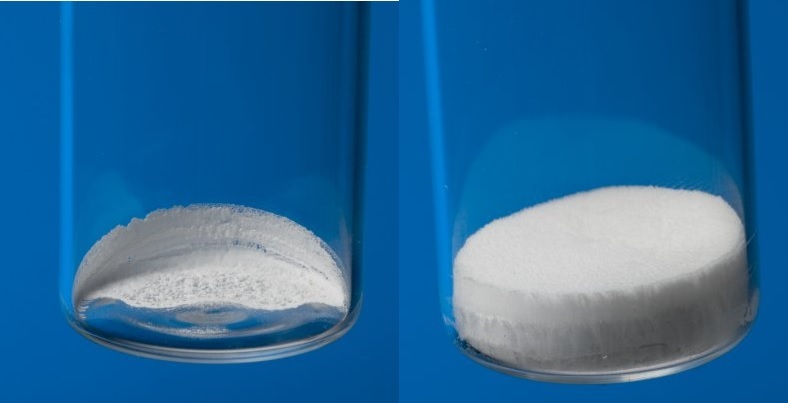 SP Scientific has published a white paper that discusses how the pharmaceutical industry and safety regulators are putting more emphasis on the importance of using external washers to remove particles from the outside of vials. Genevac reports on a customer paper that describes the development and advantages of a new evaporative methodology for Mass Spectroscopic (MS) analysis replacing the traditional Solid Phase Extraction (SPE) technique for preparing environmental samples. SP Scientific has purchased ControLyo™ Nucleation Technology and all related patents from Praxair Inc. (Danbury, CT). SP Scientific, the market leader in freeze drying educational events, reports on the enthusiastic response from past attendees at its 'Hands-On' training courses and announces dates for its 2017 program. SP Scientific is now able to offer a one-source solution for a complete range of pharmaceutical processing equipment. SP Scientific announces the introduction of the LyoModelling Calculator (LMC) - a powerful new software utility that enables those developing freeze drying cycles to calculate the time required for primary drying and the maximum product temperature based on user data input. Genevac has posted a YouTube™ video of a demo at California Gold Extractions (San Diego, USA) which compares use of a rotary evaporator and the Genevac Rocket Synergy evaporator, for the batch concentration of 2 litres of winterised cannabis extract in ethanol. SP Industries, Inc. (SP), a leading designer and manufacturer of state-of-the-art laboratory equipment ; research, pilot and production freeze dryers ; laboratory supplies and glassware has announced that it has acquired the assets of privately held PennTech Machinery Corporation. 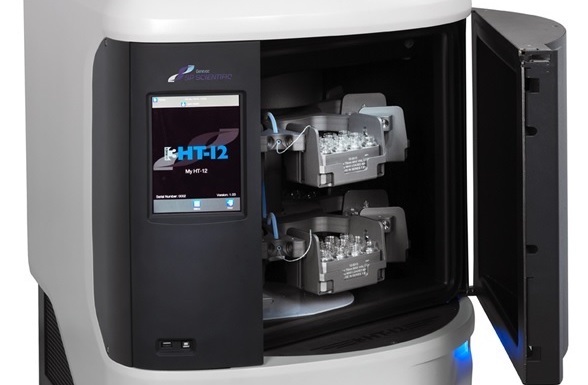 Fast Lyophilisation on the Genevac Series 3 HT Evaporator was developed to provide a rapid, high-throughput alternative to freeze drying HPLC purification fractions. Genevac Series 3 HT evaporators provide an ideal solution for evaporation bottlenecks in high throughput medicinal chemistry, natural product and production laboratories that generate large numbers of samples for processing. SP Scientific has announced the Horizontal Drum Manifold - a new accessory to maximize the performance of its BenchTop Pro freeze dryer while adding bulk and flask drying capabilities for aqueous application. SP Scientific has partnered with Bioquell (Andover, UK) to produce an off-the-shelf surface sterilization/decontamination system for SP freeze dryers. SP Scientific has announced a new LyoLearn webinar, due to run on 27th June 2013, entitled 'Sub-visible Particles: Impacts on Aggregation Pathways, Adverse Immunogenicity and Regulatory Expectations for Therapeutic Proteins'. The new VirTis BenchTop Pro freeze dryer range from SP Scientific have been designed to be highly affordable, yet meet the needs of the most demanding research laboratories. Each system can be configured to meet your present and future needs. SP Scientific and Praxair Expand Technology Agreement Jun 13, 2012 SP Scientific, and Praxair Inc., headquartered in Danbury, CT, are pleased to announce the expansion of their collaborative relationship to commercialize Praxair's ControLyoTM Nucleation on Demand Technology.